In a past episode of Ladies of London, you saw us enjoying quintessentially British activities and food: croquet, shooting, tea, and, of course, Summer Pudding! This dessert is one of my favourite things about summertime in London. It is served cold, and while we don’t often have super hot days requiring a refreshing after-lunch dish, when we do, this dish hits the spot! 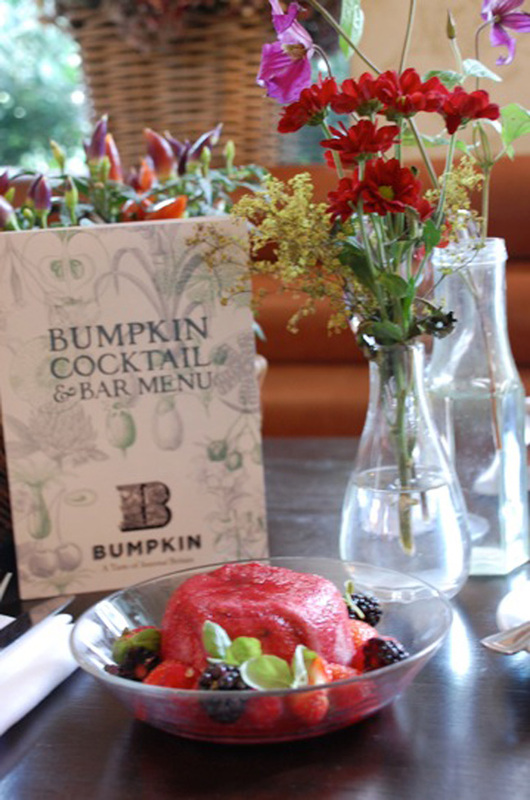 The best part about summer pudding is that it looks pretty and festive with berry-soaked bread, AND it is easy to make. For this reason, it is my go-to dish when hosting friends during the summer months. 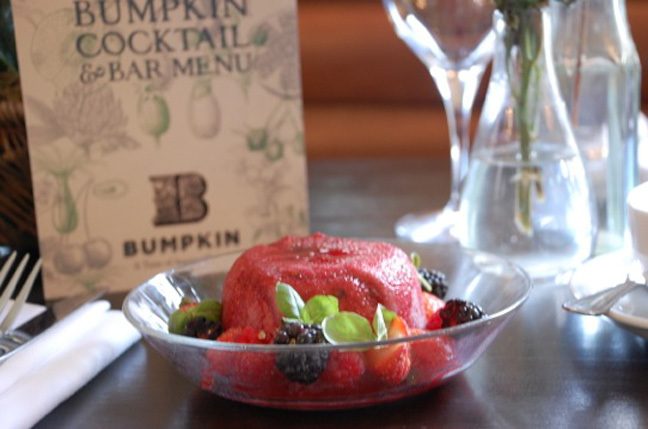 I always use Bumpkin’s recipe; it is fool-proof and a safe bet for oohs and ahhs from your guests! This dessert is one of my favourite things about summertime in London! Step 1: Place the fruit with the vanilla, sugar, and cherry liqueur into a pan and gently cook for 2-3 minutes. Be sure not to overcook the fruit---this will spoil the flavours and the fruit will go mushy. Step 2: Remove the fruit and set it aside to cool. Step 3: Roll out each slice of bread as thinly as possible. Remove the crust, and cut each slice in half. Step 4: Line a 1½ pint/700 ml pudding basin with the bread slices, ensuring there are no gaps. Fill it with the stewed fruits and cover the top with more bread slices. Make sure not to add too much of the juices from the fruits. Step 5: Wrap the puddings tightly with cling film and cover them each with 1 kg weights (a saucer with a can of beans over it will do the trick!) overnight. Keep in a cool place until serving. Gently remove the pudding and place it onto a serving dish. Garnish with the fruit and basil. Serve it with cream, clottted cream, or evaporated milk. Sarah Drew Is Expecting Baby #2!Alicia Keys Is Pregnant Again!